County. He was one of at least twenty-ﬁve physicians who were born, raised, or practiced in Cane Hill, Arkansas. He was born in Scottsville, Kentucky, in 1828. The family moved to Huntsville, Alabama. He was educated there and at the Medical Department of Nashville University, receiving a M.D. in 1849. He practiced in Somerville, Alabama, until he moved to Cane Hill soon after he married Laura McClellan in 1851. Dr. Welch served as Surgeon, Company K, 34th Arkansas Infantry, C.S.A., at the Battle of Prairie Grove, Arkansas, among other areas. After the war, he resumed practice in Cane Hill until he re-located to Fayetteville in 1881. Dr. Welch has the unique distinction of serving as the last president of one Arkansas medical association and the ﬁrst president of another Arkansas medical society. The ﬁrst county medical society in Arkansas was the College of Physicians and Surgeons organized in 1866 and later became the Little Rock and Pulaski County Medical Society. 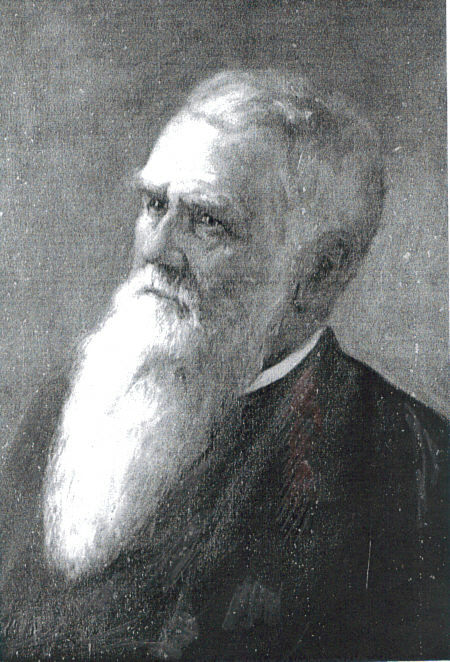 The ﬁrst meeting of the Washington County Medical Society was held 2 July 1872 with Dr. Welch as vice-president. In November, 1870, delegates from six counties chartered the Medical Association of the State of Arkansas. Annual meetings were uneventful until two Hot Springs physicians brought charges against each other at the 1873 meeting. Doctors in Hot Springs chose sides. This dispute preoccupied the next two annual meetings. Dr. Welch of Fayetteville was chosen president. suppurative pericarditis (pus in the sac around the heart) cured by aspiration — all without modern diagnostic equipment. of the Washington County Bank that became the Arkansas National Bank. Also in 1884 he was Grand Master of the Washington [County Masonic] Lodge Number One. “For the good of the whole town,” he organized and was president of the Commercial League that became the Business Men’s Club. Perhaps from his wartime experience of poor water supply, the forerunner of the Fayetteville Chamber of Commerce agitated for a city waterworks. Dr. Welch’s civic leadership was recognized by membership on the University of Arkansas Board Of Trustees in 1887. His military and civilian difficulty with care for trauma and sick patients led him to see the need for a hospital. Representatives from several Fayetteville churches (Dr. Welch was named by St. Paul’s Episcopal Church) and the city council constituted a board that led to the formation of Fayetteville City Hospital that opened in 1912. Dr. Welch’s leadership was apparent in becoming the ﬁrst chairman of the City Hospital Board and the ﬁrst chief of the medical Staff. When he died in 1917, his will provided a building and $10,000 U.S. bonds as endowment for the care of indigents. Dr. William B. Welch was a true gentleman, well-respected physician, leader of organized medicine, and civic activist.